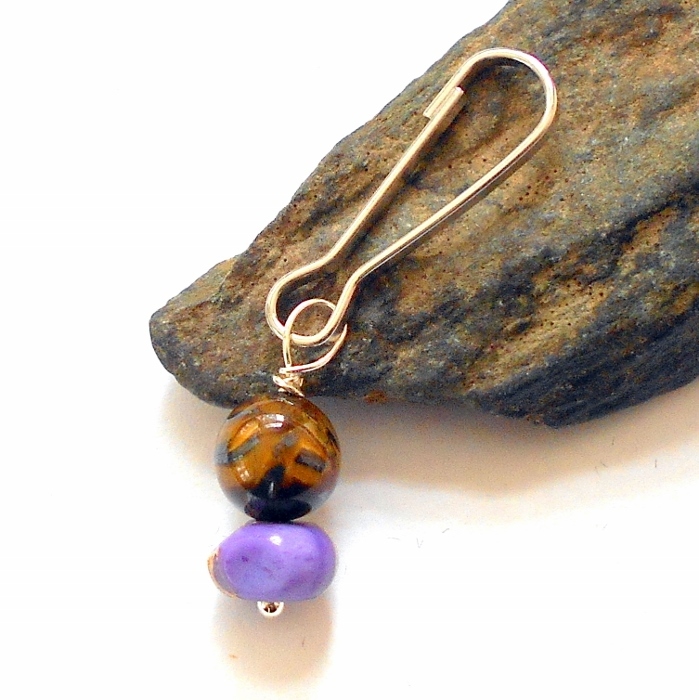 Gemstone pet charm with tigers eye and purple jasper finished on a silver plated clip. 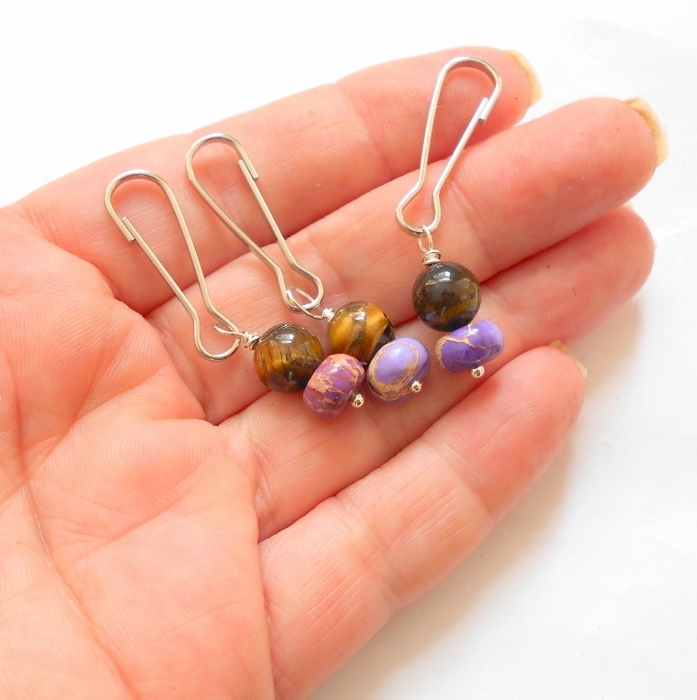 Tiger Eye helps to calm in the midst of chaos. Helps eye, throat and reproductive system problems. Tiger Eye is helpful in mending broken bones and to strengthen the spine. Jasper facilitates strength, courage and vitality. This would make it good for shy pets. Jasper can help them with being more outgoing and aiding them with social interaction with their own and other species.